If it weren’t the national flags hanged on the houses, you would never have thought that you are in an American city. Boston is a mixture of England and Holland, Belgium and a little bit of France – an amazingly beautiful American city! Boston proudly presents its colonial past, which has played a decisive role in the development of the country. In addition, it’s the most important center of the American university system: this is where the famous Harvard and Cambridgeare located. Despite the fact that the city has expanded significantly, it has retained its original style. Lots of interesting places and rich cultural life allows Boston to enter the list of the most popular places in the United States. Want to visit its most incredible sights? Then we recommend booking a car rental in Boston airport first, because it is the most convenient local way of gettingthroughout the city. 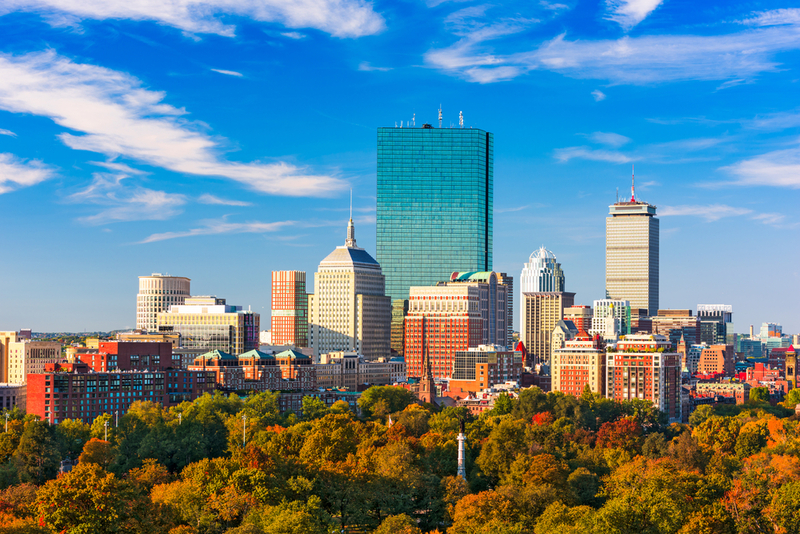 You can also rent a car in Boston to explore the suburbs of the city and even cities in a driving distance to Boston, such as Providence, New Haven, Portland, and even New York. Owned by Harvard University, Albert’s Arboretum is considered to be a jewel on the crown of Boston. The park, founded in 1872, was designed by Frederick Low Olmsted. Its territory occupies more than 280 acres, on which about 15 thousand plants are collected. Particular attention is paid to the arboretum plants of North America and East Asia. The oldest collections of plants were brought by travelers at the beginning of the 20th century, but the newest ones were brought from Japan and Korea in 1977, and later from China and Taiwan. The Bradley collection of roses covers 2 hectares of land, where almost 800 plants of about 400 species are planted. 85% of them are roses. As a result of the four-year renovation, which was held in the rose garden, in 2011 a new gazebo appeared there, and the landscape design was completely redone. Today, you can admire the Cherry Promenade, which reaches its peak from late April to early May, or enjoy the views from the Dawson Pond or on the Bradley Bench in the western part of the garden, offering a wonderful view of the cityfrom above. This is a four-kilometer route that passes through downtown Boston past 16 points, connected with the history of the United States and. The road is predominantly paved with bricks and runs between the Boston Common Park and the USS Constitution museum ship in the Charleston area. All the stops on the route are specified by markers on the pavement – these are historical buildings, tombs, churches and that very old ship. The idea to pave a similar route came up with the Boston journalist W. Schofield in 1951. In practice, it turned out to be extremely successful: a couple of years later 40 thousand people passed the route annually. Most of the stops on the way are open for inspection completely free of charge, although you must pay to visit the Old South Meeting-House, the Old Capitol and the houses of Paul Revere. Harvard University is among the most prestigious and renowned educational institutions in the world. Of course, many schoolchildren dream of becoming a student at Harvard University, but this is not easy. The competition among applicants is huge. It’s not surprising, because many famous people graduated from this university – among them as many as 30 Nobel laureates. In addition, Harvard ranks first among all universities in the number of billionaires among graduates. What’s more, eight presidents of America, as well as actress Natalie Portman and Facebook founder Mark Zuckerberg have a diploma from Harvard University. Harvard University has long been a favorite tourist attraction. So if you plan to go to Boston, it’s worth exploring this interesting object. This is one of the largest USA museums. It has more than 450 thousand pieces of art, which makes the collection of the museum almost the most extensive in America. More than 1 million people visit the museum annually.It boasts of several truly magnificent and valuable collections. So, in the gathering of Egyptian artifacts you’ll findsarcophagi, jewelry and sculptures. A collection of French impressionists and postimpressionists includes works by Gauguin,Renoir, Manet,Van Gogh, Cezanne, andDegas. The department of American art of 18-19 centuries many of the works of Winslow Homer, Gilbert Stewart, John Singer Sargent, and John Singleton Copley are provided. The Boston Athenaeum is the most historical US museum. It was established in 1807 by the Boston Anthological Club. Today, it is a combination of a library, a museum and a venue for cultural events. The selection of unique books of Athenaeum consists of more than 100 thousand volumes, the collection of art objects – more than 100 thousand art objects, including drawings, photographs, paintings, prints,sculptures, and objects of decorative and applied art. The special charm of Athenaeum lies in the art gallery on the ground floor, which can be visited for free. Among the most valuable treasures of Athenaeum are much of the library of the President Washington, as well as busts of Lafayette and Benjamin Franklin.